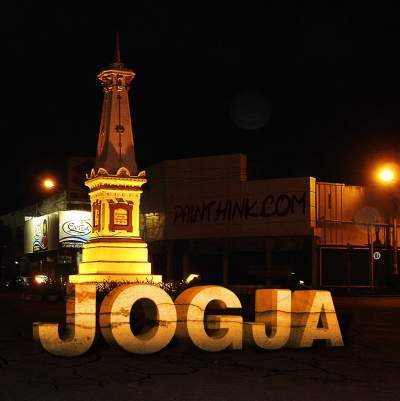 Yogyakarta Tour Package 3 Days 2 Nights. You will travel to Yogyakarta in Central Java and due to the limited time you can take the Yogyakarta Tour Package 3 days 2 nights. There are many options for organized tour companies for the 3 Days 2 Night Yogya tour, but for cheap tour package prices and good tour operators Surabayabromotour.com is recommended as a trusted travel agent and specialist in the Java region. You could organise 3 Days 2 night Trips To Yogyakarta with to book in advance. Take the travel times according to plan dates and your destinations according to wishes because we offer Yogyakarta Private Tour Package 3 Days 2 Night. Tours for 3 days 2 nights in yogyakarta central java Indonesia,we will take you to Borobudur Temple, prambanan temple and Mendut Temple, and then having an adventurous trip to Merapi before finally spending the night in Malioboro. Moreover, we will take you to the top of the hill when visiting the Queen Boko Temple and enjoying the world class performance of the Ramayana Ballet. Below the itinerary of Yogyakarta Borobudur Prambanan Temple Tour 3 Days. Meeting point pick up at Yogyakarta airport. Direct tour to visit Prambanan temples, Sewu temples and Boko temple. After finish transfer to hotel in Yogyakarta town and check in hotel. Free program. Morning after breakfast at hotel, depart from hotel and visiting Borobudur temple the world’s biggest Buddhist temple and a UNESCO world heritagelocated 42 km of Yogyakarta . Then visit to Pawon temple and Mendut temple. Next, drive to Bebeng village for volcano viewing. Bebeng village is one of the village located close to Merapi volcano was destroyed during the last eruption in October and November 2010. Bebeng village itself is famous as the best spot for volcano viewing activity. Afterward, proceed Yogyakarta city tour sightseeing to visit Sultan Palace, Water castle, Batik and silver industry at Kotagede. Afternoon drive about 30 km of Yogyakarta visiting famous Parangtritis beach. Late afternoon return to hotel. Free program. Breakfast at hotel and then shopping around Malioboro and some other places such as craft centre.Return to hotel,check out hotel and transfer to Yogyakarta airport or trains stations. Yogyakarta tour service in ended. English speaking tour driver or guide.